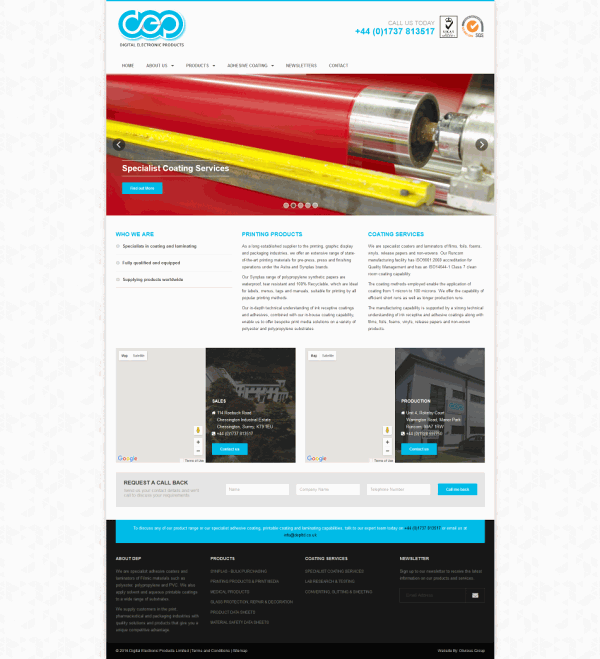 The client: DEP Ltd, Runcorn, Cheshire. The product: High precision paper coatings. 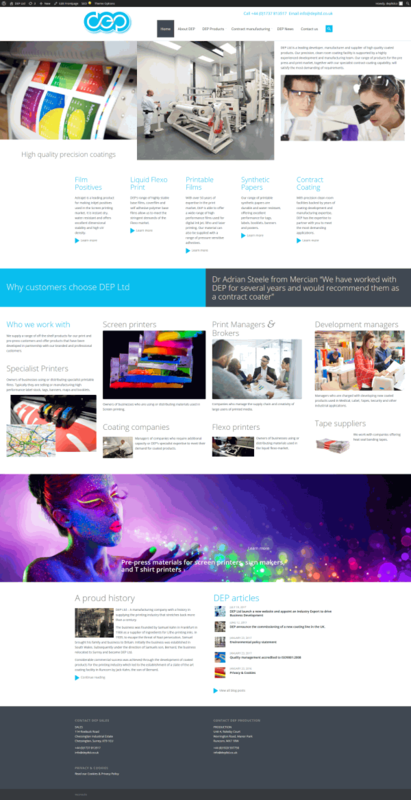 The brief: Create a new website that projects the true quality of the DEP operation and generates leads and enquiries by meeting the needs of customers quickly. Our approach: We worked with the DEP management team to determine exactly who would be searching for their services online and what they would be seeking. We then constructed a home page that played directly to the audience needs and directed prospects to the right information quickly. The result was a bright, modern website, responsive for all screen sizes that ranks page 1 on Google for the company’s target keywords.